The company was established in 1990 by Mr. Joseph Rodriguez. Premier Remodelers is Maryland, Washington D.C., and Virginia’s leading source of siding, replacement windows, doors, and roofing services. We are committed to delivering high quality workmanship and service at a very fair and reasonable price. We deliver customer satisfaction through our commitment to detail and passion for excellence. Our distinctive difference has always been a reputation of honesty, integrity, and professionalism. We are Your Home Improvement Company! –>We have won the Prestigious Golden Hammer Award, the Contractor of the Year Award, and have been featured in several Home Monthly Newsletters. Please Click Here to visit our Credentials Page for more information. Premier Remodelers of Crownsville, MD has recently partnered with Devere Insulation (http://www.devereinsulation.com) to provide further energy efficiency savings for their homeowners customers. Working together, Premier Remodelers is able to offer significant savings on both the service installation AND home energy heating & cooling bills. This is accomplished when a homeowner replaces their roof AND has their attic insulated at the same time. 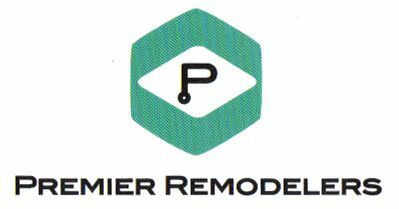 Premier Remodelers and Devere Insulation are able to offer huge savings by bundling their services together. Maryland homeowners in Crownsville, Columbia, Bowie, Crofton, Annapolis, Davidsonville, and all over Prince George’s County, Anne Arundel County, Montgomery County, Howard County, Maryland are now eligible to receive these special savings when they contact Premier Remodelers today! Certified installer for alside building products. "Big Company Value at Small Company Price!" Has Your Home Been Damaged by Wind and/or Hail? Qualified Homeowners Like You Through Several Insurance Companies.